You may have seen Vanilla Sugar in specialty shops - it is simply sugar infused with vanilla and is très delightful. I think it was Alton Brown who enlightened me to how easy it is to make your own Vanilla Sugar. Ever since then, I have not been able to shake the concept from my mind. The only solution - make my own Vanilla Sugar. 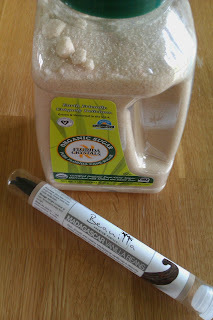 I acquired 2 fresh whole Vanilla Beans (although dried will work as well) & 48 ounces of Organic Granulated Sugar. I pondered whether or not to relocate the sugar to another container and then opted not to because the container it came in (plastics bottle) was just fine. Of course my initial thought was to store in a mason jar, as an airtight container is essential. Temporarily, I moved half of the sugar into a bowl and set aside. I then sliced each bean open and scrapped the seeds into the sugar. Then I shoved each bean into the sugar as well. Using a funnel, I returned the previously removed sugar into it's original container. A few shakes to get the vanilla mingling and I will allow this concoction to marinate for 1-2 weeks. 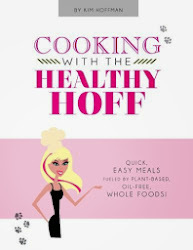 That's it - you've got a very simple and cheap solution to an otherwise gourmet and expensive product! Use Vanilla Sugar for anything you'd normally use sugar for - coffee, tea, oatmeal, baked goods, pancake/waffle mix etc. I can't wait to dip some juicy strawberries into this!